Poetry is an ancient verbal art, which has its roots in the oral epics and fragments that survive from classical times. Dictionaries of English, by contrast, are a comparatively recent phenomenon, beginning with the ‘hard words’ that Richard Cawdrey gathered in A Table Alphabeticall in 1604 and extending to the present edition of the Oxford English Dictionary, with its ongoing revisions. This innovative collection of essays is the first volume to explore the ways in which dictionaries have stimulated the imaginations of modern and contemporary poets from Britain, Ireland, and America, while also considering how poetry has itself been a rich source of material for lexicographers. As well as gauging the influence of major dictionaries like the OED, the essays single out encounters with more specialised works and broach uses of words that are not typically included in dictionaries. In doing so, the contributors not only cast familiar questions of ambiguity and etymology in a fresh light, but they also reveal a number of surprising and energising points of contact, from Hugh MacDiarmid’s rediscovery of Scots to Tina Darragh’s visual appropriations of dictionary pages. 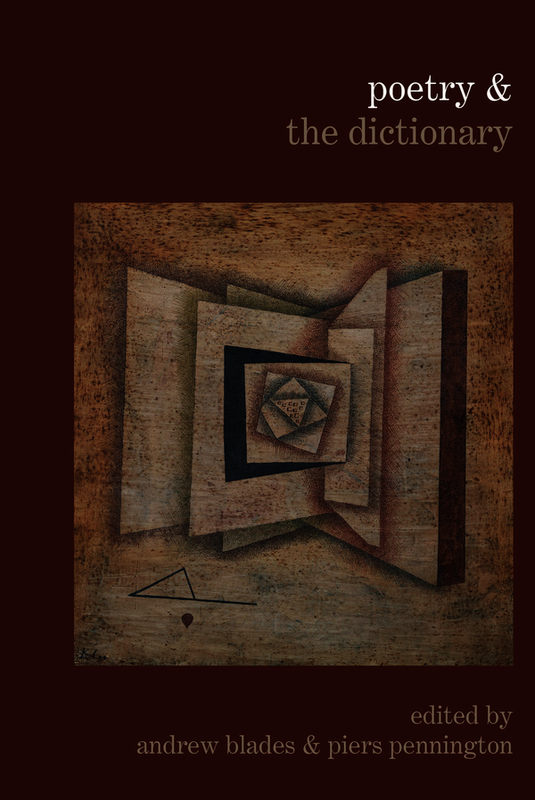 As such, Poetry & the Dictionary will prove an indispensable volume for all readers – academic or not – who find themselves fascinated by the language’s many involutions. Andrew Blades is Lecturer in English at the University of Bristol. Piers Pennington completed his doctoral studies at Corpus Christi College, Oxford.